The aliens and their massive army of killer bugs are back to destroy the earth, but the EDF is more ready than ever to squash some insects. I’ve made no attempts to hide my love for the Earth Defense Force series. It’s hard to explain to gamers who didn’t grow up during the era of action-packed “quarter eaters.” But, essentially the games visually and mechanically hearken back to a heyday for a lot of us old-timers. 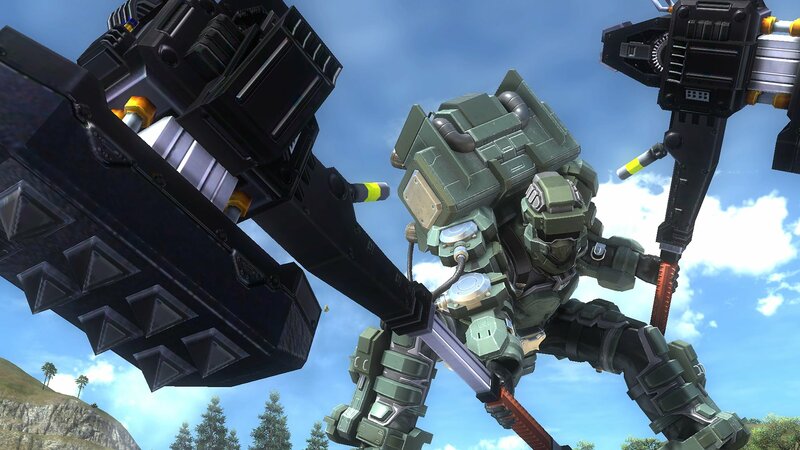 The upcoming Earth Defense Force 5 doesn’t change much of what fans of the series crave, but it still makes some major improvements from both the graphic and gameplay angles. First and foremost, EDF5 is still about killing giant alien monsters using an over-the-top arsenal that only gets more insane as players battle through the hundreds of levels that each iteration contains. While the main focus has always been on destroying giant bugs like spiders, ants, and wasps, EDF5 will be the first time that soldiers will face off against actual aliens. These new alien enemies aren’t exactly little green men, in fact, they’re more like giant gray monsters in mech suits that can cause some seriously heavy damage. There are also some new giant frog enemies equipped with plasma launchers for players to take on, and there’s sure to be more reveals beyond that in the full game. While the four core character classes for players to pick from remain essentially the same, players will have a few more customization options that should enhance gameplay. This time around, players will start out as civilians and work their way through the EDF in an attempt to have a more linear plot structure and telltale beyond just blowing up giant bugs. To that effect, there will be unlockable costume options in the new game. I only got a look at the civilian and standard EDF soldier outfits, but I’d imagine there’s more to be discovered. Another new feature for each class is an extra equipment slot for boost equipment, so classes can now tweak things like armor or energy buffs, and rangers can call in vehicles, which is usually just an option for air raider classes. 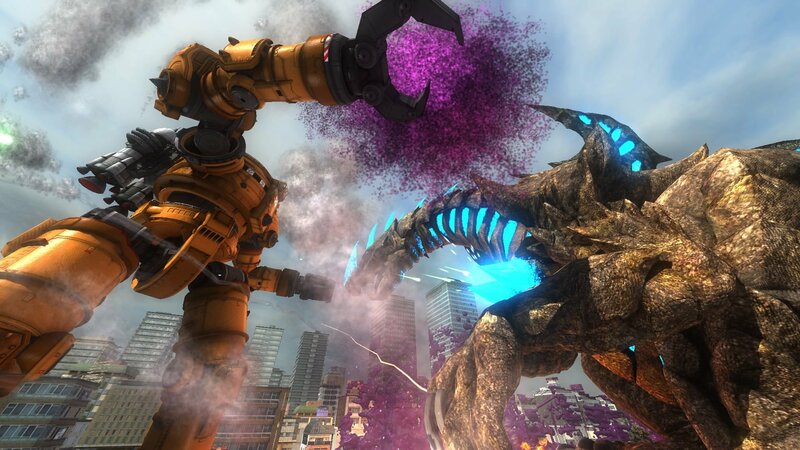 As the first title in the series made for current-gen consoles, EDF5 is also giving the series a much needed cosmetic boost. Enemies now take cosmetic damage instead of just exploding into goop when killed. It’s always been hard to tell just how much damage a weapon was causing, so hopefully, the visual queues will help. The fact that you can now do things like pop a giant frog’s head off with a well placed shot and watch it fly through the air as purple blood sprays all over the place from the creatures neck hole is definitely a new level of viscera for the series. While EDF5 may appeal the to the arcade generation of gamers for all the right reasons, the younger generation could always benefit from a little mindless action as well, especially when it involves giant frogs. Earth Defense Force 5 may be a great jumping on title for players who have always been curious about the series as well. 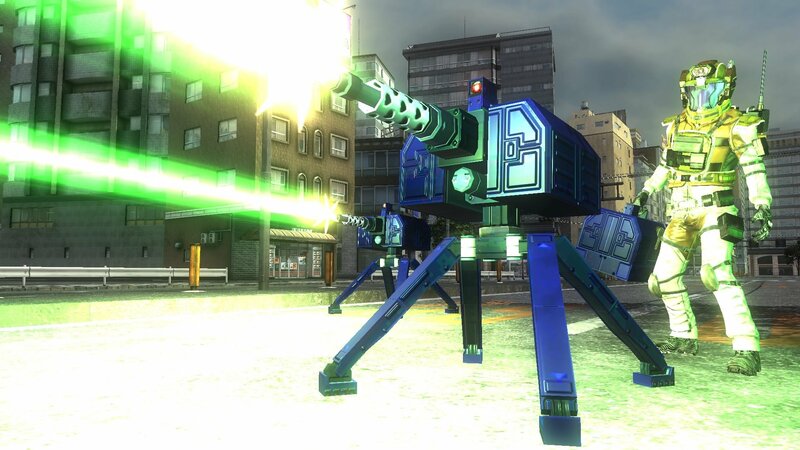 All I know is, when it launches on December 11 in the US on PS4 there will be cries of “EDF! EDF! EDF!” heard throughout my neighborhood. Did they add any other insects? My wife has informed me that she won't play this one if they've added roaches.